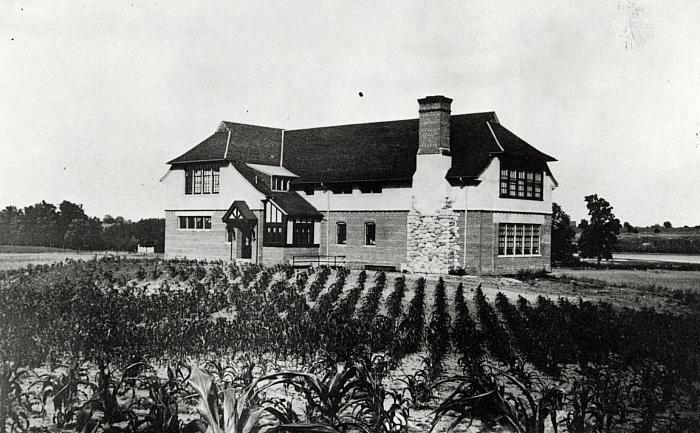 The Emily Jewel Clark school building at Starr Commonwealth, a two story brick and stucco building with a stone, stucco, and brick chimney, is surrounded by farm land including a field of young corn in the foreground. Photograph, 4 X 6 in. Title by cataloger. Emily Clark donated the money to build the first school and the building was named for her.